Discussions about antenna topologies using collinear in-phase elements. 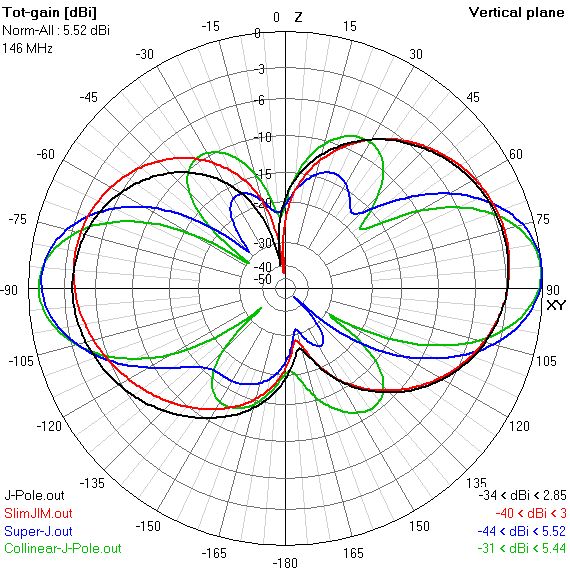 Measurements and analysis suggest why quarter-wave stubs fail to completely isolate radiator conductors on multi-band antennas including the popular rollup 2m/440 J-Pole products. Possible improvements are shown. There are many ways to morph the basic J antenna into useful forms. 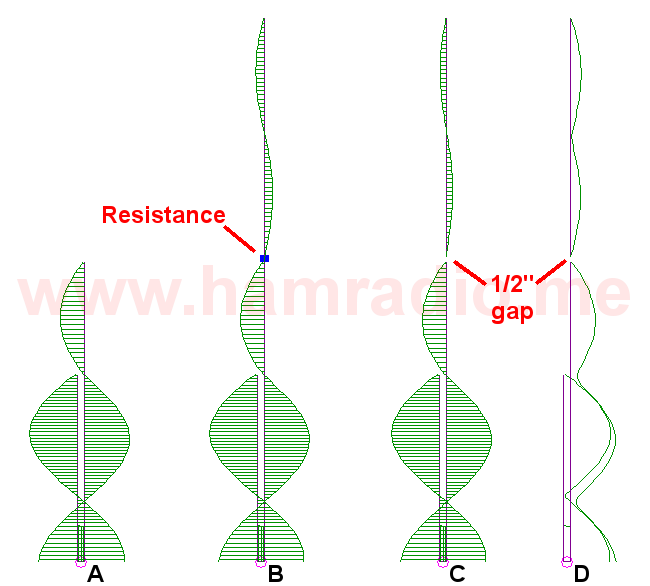 Understanding why SlimJIM antenna aficionados hype the gain in their marketing and discussions. 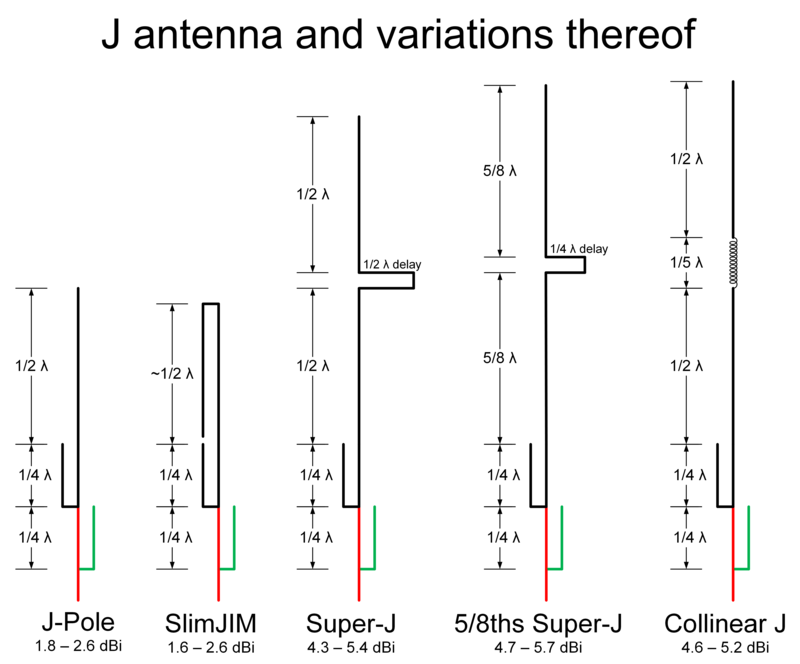 The traditional collinear J-Pole, aka Super-J, improves the basic J-Pole. Are further improvements possible? By replacing the phasing stub with a simple coil, the answer is yes. 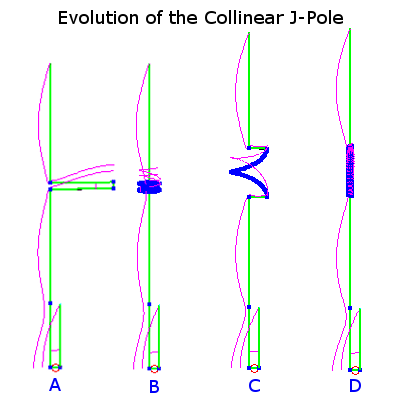 The result is the Collinear J-Pole. 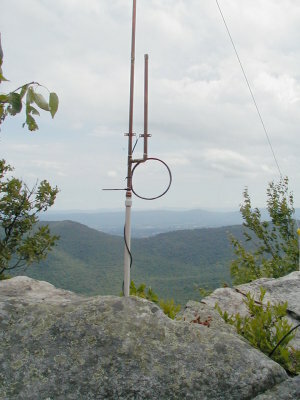 Hiking, ham radio, hills and a portable collinear J-Pole combine to make the Golden Packet Test a memorable event. 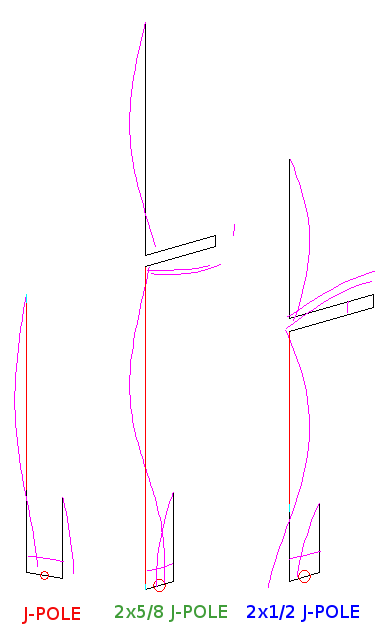 Another 5/8 J-Pole Design arranged as a Collinear… can it justify the complexity and extra materials? Longer is not always better in the world of antennas. Such is the case of the 5/4 wave vertical antenna… a Super J-Pole Wannabe Antenna.